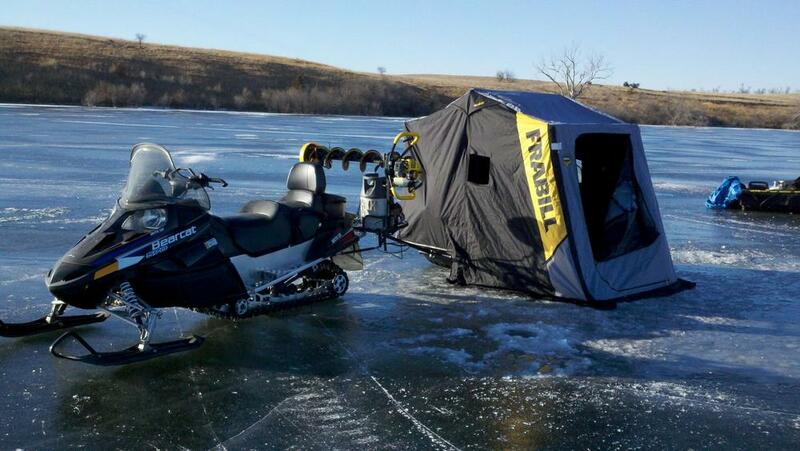 The Snowmobile Cargo System is the essential accessory for ICE FISHING and TRAIL RIDING enthusiasts. 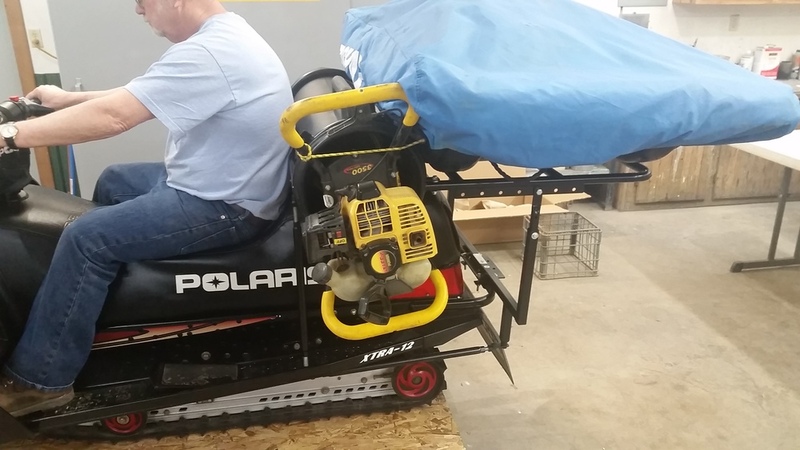 This powder-coated, mig-welded steel frame cargo system comes complete with detachable ice-auger rack, adjustable auger motor head support and buckle straps to protect your valuable machine. Virtually indestructible and can handle as much weight as your machines suspension can support. 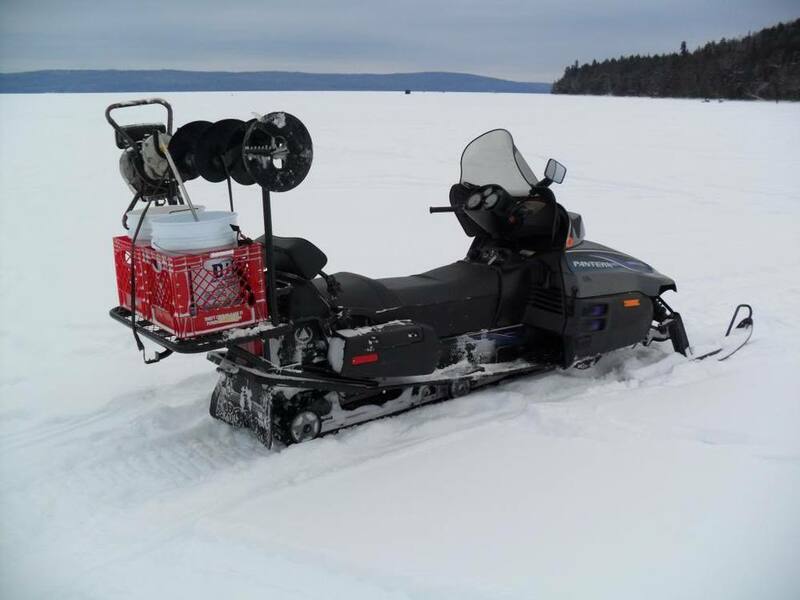 Easily installed with a simple and straightforward 3-point installation and designed to attach securely on any type of snowmobile, the Snowmobile Cargo System will allow you to haul all your gear with simplicity and ease. 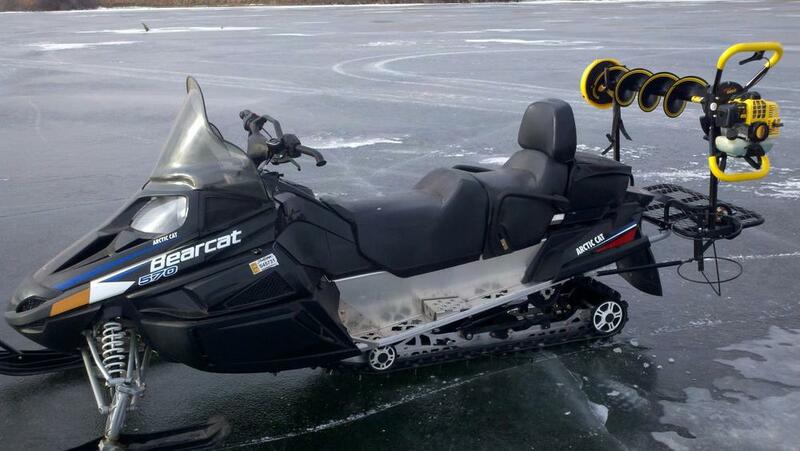 Your new Snowmobile Cargo Systems even comes with an additional tow bar located underneath with the strength to tow anything from a sled to an ice-shanty. Want to make sure our systems will install on your specific machine before you buy? 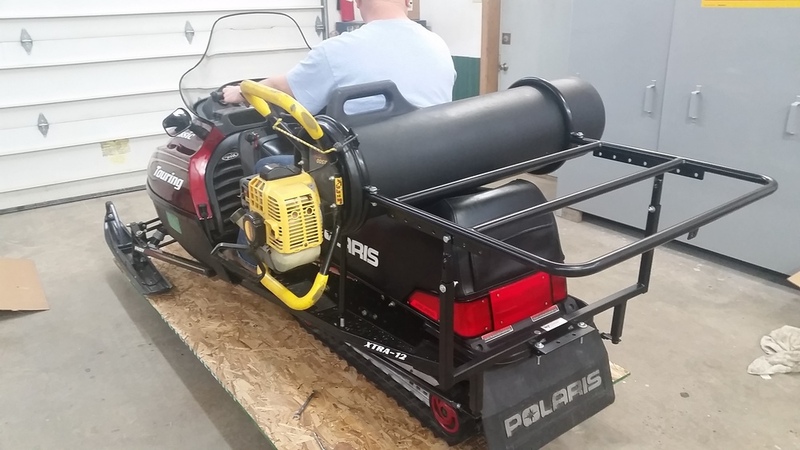 Email us pictures of your machine and we will verify for you.